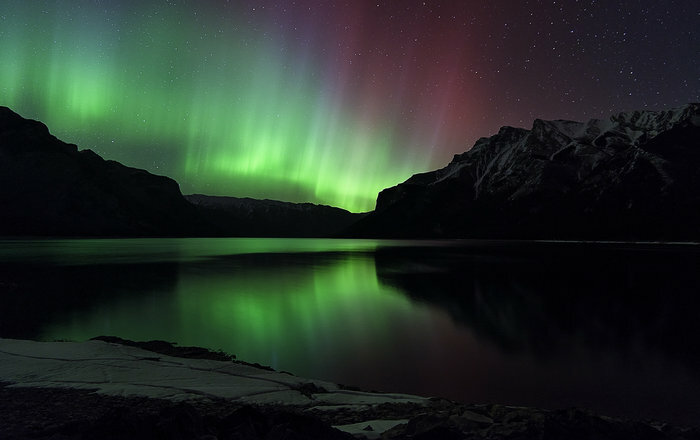 The aurora borealis is a visible display of electrically charged atomic particles from the Sun interacting with Earth’s magnetic field. However, the Swarm mission is leading to exciting new wave of discoveries. A new paper [Journal of Geophysical Research] explores the dynamics of this energetic coupling across different spatial scales – and finds that it’s all in the detail. As seen in the above image, taken on 25 July 2014, the hot plasma forms large loops and fan-shaped structures, both of which are kept in check by the Sun’s intense magnetic field. While some of these loops stay close to the surface of the Sun, some can stretch far out into space, eventually being swept up into the solar wind – an outpouring of energetic particles that constantly streams out into the Solar System and flows past the planets, including Earth. Two new ESA missions will soon contribute to this field of study: Solar Orbiter is designed to study the solar wind and region of space dominated by the Sun and also to closely observe the star’s polar regions, and the Proba-3 mission will study the Sun’s faint corona closer to the solar rim than has ever before been achieved. “But what we are witnessing now is nothing short of a complete overhaul of the understanding of how Earth responds to and interacts with output from the Sun. The first images from the Solar Ultraviolet Imager or SUVI instrument aboard NOAA’s GOES-16 satellite have been successful, capturing a large coronal hole on Jan. 29, 2017. The sun’s 11-year activity cycle is currently approaching solar minimum, and during this time powerful solar flares become scarce and coronal holes become the primary space weather phenomena – this one in particular initiated aurora throughout the polar regions. Coronal holes are areas where the sun’s corona appears darker because the plasma has high-speed streams open to interplanetary space, resulting in a cooler and lower-density area as compared to its surroundings. 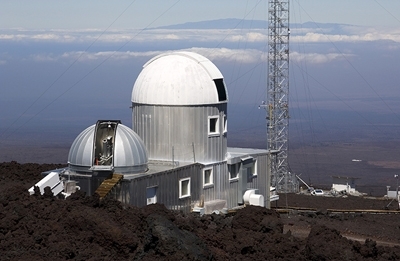 SUVI is a telescope that monitors the sun in the extreme ultraviolet wavelength range. SUVI will capture full-disk solar images around-the-clock and will be able to see more of the environment around the sun than earlier NOAA geostationary satellites. The sun’s upper atmosphere, or solar corona, consists of extremely hot plasma, an ionized gas. This plasma interacts with the sun’s powerful magnetic field, generating bright loops of material that can be heated to millions of degrees. Outside hot coronal loops, there are cool, dark regions called filaments, which can erupt and become a key source of space weather when the sun is active. Other dark regions are called coronal holes, which occur where the sun’s magnetic field allows plasma to stream away from the sun at high speed. The effects linked to coronal holes are generally milder than those of coronal mass ejections, but when the outflow of solar particles is intense – can pose risks to satellites in Earth orbit. 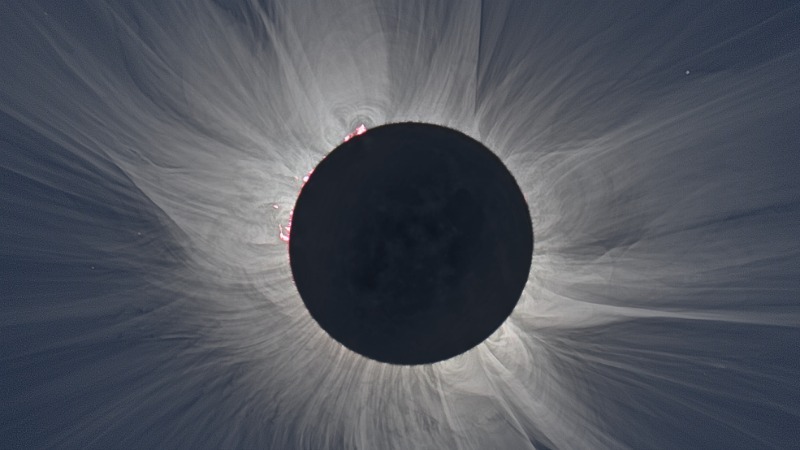 The solar corona is so hot that it is best observed with X-ray and extreme-ultraviolet (EUV) cameras. Various elements emit light at specific EUV and X-ray wavelengths depending on their temperature, so by observing in several different wavelengths, a picture of the complete temperature structure of the corona can be made. The GOES-16 SUVI observes the sun in six EUV channels. Data from SUVI will provide an estimation of coronal plasma temperatures and emission measurements which are important to space weather forecasting. SUVI is essential to understanding active areas on the sun, solar flares and eruptions that may lead to coronal mass ejections which may impact Earth. Depending on the magnitude of a particular eruption, a geomagnetic storm can result that is powerful enough to disturb Earth’s magnetic field. Such an event may impact power grids by tripping circuit breakers, disrupt communication and satellite data collection by causing short-wave radio interference and damage orbiting satellites and their electronics. SUVI will allow the NOAA Space Weather Prediction Center to provide early space weather warnings to electric power companies, telecommunication providers and satellite operators. These images of the sun were captured at the same time on January 29, 2017 by the six channels on the SUVI instrument on board GOES-16 and show a large coronal hole in the sun’s southern hemisphere. Each channel observes the sun at a different wavelength, allowing scientists to detect a wide range of solar phenomena important for space weather forecasting. SUVI replaces the GOES Solar X-ray Imager (SXI) instrument in previous GOES satellites and represents a change in both spectral coverage and spatial resolution over SXI. NASA successfully launched GOES-R at 6:42 p.m. EST on Nov. 19, 2016, from Cape Canaveral Air Force Station in Florida and it was renamed GOES-16 when it achieved orbit. GOES-16 is now observing the planet from an equatorial view approximately 22,300 miles above the surface of Earth. Our Sun is a beautiful, bubbling mess of plasma that’s controlled by its magnetic field – and roughly once every 11 years, the polarity of that magnetic field is reversed, causing a spike in Sun spots and solar flares. It’s beautiful and predictable, but also baffling. What controls the magnetic field? And what causes those regular fluctuations? It’s something that’s puzzled scientists for decades, but a group of researchers have just put forward a possible new explanation: maybe it’s us. Well, not just us, but Earth, Venus, and Jupiter combined. The researchers came up with the idea because not only does the Sun’s magnetic field flip every 11 years, every 11.07 years, the Sun, Earth, Venus, and Jupiter are all aligned. “We asked ourselves: is it a coincidence that the solar cycle corresponds with the cycle of the conjunction or the opposition of the three planets?” said one of the physicists, Frank Stefani, from Helmholtz-Zentrum Dresden-Rossendorf in Germany. That question isn’t new, and researchers have noticed the link between the planetary alignment and the Sun’s magnetic field before, but they haven’t been able to figure out how the very weak tidal effects of three planets could influence the Sun’s dynamo. But with new calculations into the behaviour of the solar magnetic field, the team has found evidence to suggest that, thanks to the principle of resonance – the build up of an effect – the planets could actually be having a profound effect on the Sun. The Sun’s dynamo magnetic field is controlled by a combination of two effects: the omega effect and the alpha effect. The omega effect is understood to originate in the tachocline – the narrow band between the Sun’s inner radiative zone and the outer areas. In the tachocline, lots of different rotating areas converge, and researchers suspect that this generates two magnetic belts situated north and south of the solar equator. But the alpha effect is more mysterious. 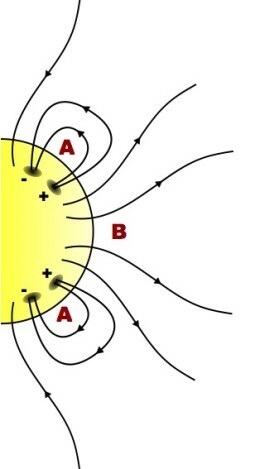 The alpha effect is what creates the poloidal field – one that circles from pole to pole – and a leading hypothesis suggests that it originates near sunspots on the Sun’s surface. But this has never quite explained the 11-year cycle. The German team has an alternate hypothesis – their calculations show that the alpha effect is prone to oscillations under certain conditions, and these oscillations could be triggered by the alignment of the three planets, before growing into something more powerful. This oscillation of the alpha effect, also known as the Tayler instability, then builds up to become powerful enough to flip the polarity of the magnetic field, thanks to resonance. “If you only just give a swing small pushes, it will swing higher with time,” Stefani explains, referring to resonance. To back up their hypothesis, the team discovered the first evidence that the Tayler instability is also oscillating back and forth between right- and left-handedness with very little energy, which suggests that the planetary alignment has a strong enough effect to flip it. “Our calculations show that planetary tidal forces act here as minute external pace setters,” said Stefani. More research is needed before we can say for sure whether the effect of three planets could be influencing our Sun, but it’s an interesting hypothesis worthy of further investigation. And it would be pretty cool to think that our little globe could have an effect on something so massive. The research has been published in Solar Physics. As a part of the Sun’s natural activity cycle, extremely low-density regions sometimes form in the solar corona. These “coronal holes” manifest themselves as dark patches in X-ray and extreme ultraviolet imaging, since the corona is much hotter than the solar surface that peeks through from underneath it. Coronal holes form when magnetic field lines open into space instead of looping back to the solar surface. In these regions, the solar atmosphere escapes via these field lines, rapidly streaming away from the Sun’s surface in what’s known as the “fast solar wind”. 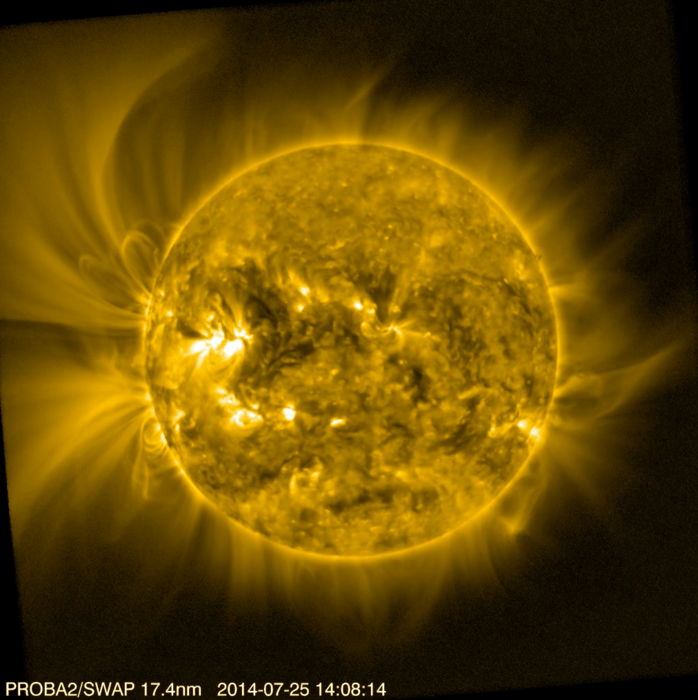 Automated detection of coronal holes from image-based analysis is notoriously difficult. Recently, a team of scientists led by Ken’ichi Fujiki (ISEE, Nagoya University, Japan) has developed an automated prediction technique for coronal holes that relies instead on magnetic-field data for the Sun, obtained at the National Solar Observatory’s Kitt Peak between 1975 and 2014. The team used these data to produce a database of 3335 coronal hole predictions over nearly 40 years. Examining trends in the coronal holes’ distribution in latitude and time, Fujiki and collaborators find a strong correlation between the total area covered by low-latitude coronal holes (holes closer to the Sun’s equator) and sunspot activity. In contrast, the total area of high-latitude coronal holes (those near the Sun’s poles) peaks around the minimum in each solar cycle and shrinks around each solar maximum. Why do these observations matter? Coronal holes are the source of the fast solar wind, so if we can better predict the frequency and locations of coronal holes in the future, we can make better predictions about how the solar wind might impact us here on Earth. 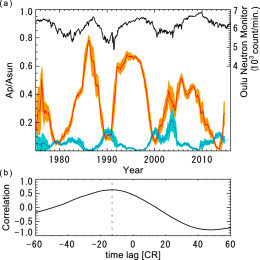 In one example of this, Fujiki and collaborators show that there’s a distinct correlation between polar coronal-hole area and observed galactic cosmic rays. Cosmic rays from within our galaxy have long been known to exhibit a 22-year periodicity. Fujiki and collaborators show that the periodicity of the galactic cosmic-ray activity tracks that of the polar coronal-hole area, with a ~1-year lag time — which is equivalent to the propagation time of the solar wind to the termination shock. Polar coronal holes are therefore a useful observable indicator of the dipole component of the solar magnetic field, which modulates the incoming cosmic rays entering our solar system. This coronal hole database will be a useful tool for understanding the source of solar wind and the many ways the wind influences the Earth and our solar system. This week, NASA’ Solar Dynamics Observatory (SDO) captured a remarkable phenomenon on the sun’s surface, a giant hole known as coronal hole taking up more than 10% of our sun’s surface. From here, our sun seems eerily calm but it is actually a red-hot ball of violence capable of spewing powerful blasts of radioactive particles towards Earth. These powerful blast could be extremely dangerous, messing up with our communication systems and satellites and would be dangerous to unshielded astronauts, large doses could be even fatal; thankfully, Earth’s magnetosphere is there to keep us safe — these blast cannot harm our human bodies as long as we remain on the surface of Earth. So, what causes these violent streams? The solar wind emanates from the Sun in all directions, but one of the sun’ lesser-known weather phenomena, called coronal holes, emanate most readily these stream of particles. Because they contain little solar material, they have lower temperatures and thus appear much darker than their surroundings. Coronal holes are visible in certain types of extreme ultraviolet light, which is typically invisible to our eyes, but is colorized here in purple for easy viewing. Such phenomenon are being investigated by NASA’ Solar Dynamics Observatory, a spacecraft launched on February 11, 2010, that scientists use to understand the causes of solar variability and its impacts on Earth. In this image, you can see something very unusual is happening with our sun, something that we have yet to fully understand; usually holes have been seen but nothing at the size of the whole recently found. Though NASA says the recent holes in our sun, even the large ones like this one, is actually not of great concern, it is totally normal but some researchers said that something is clearly happens with our sun, such large hole have never seen before. So, guys what do you think? 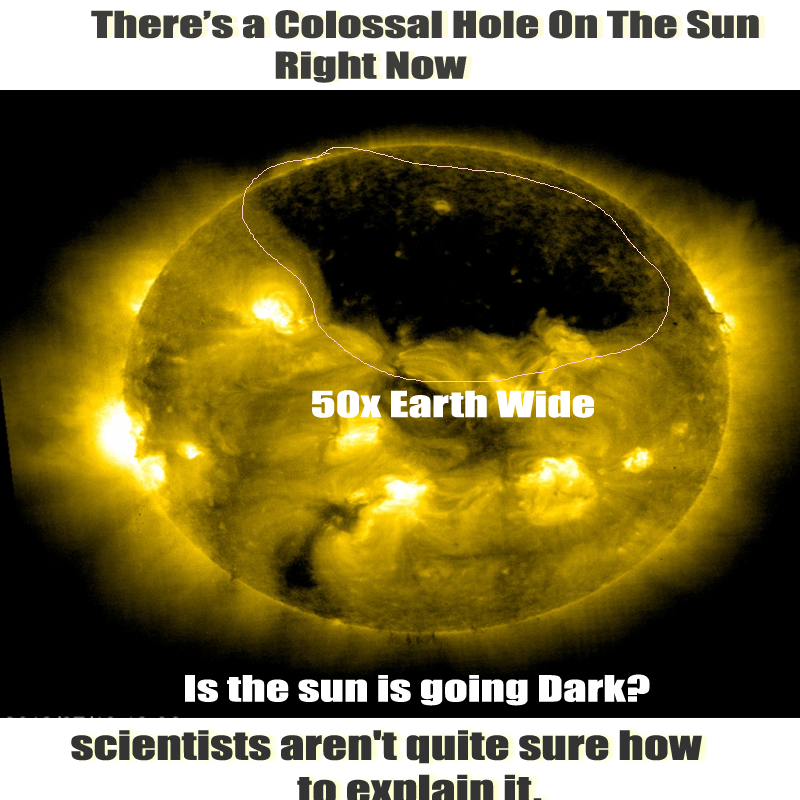 Is our sun is going dark? Or NASA is telling us the truth and we have nothing to worry about?